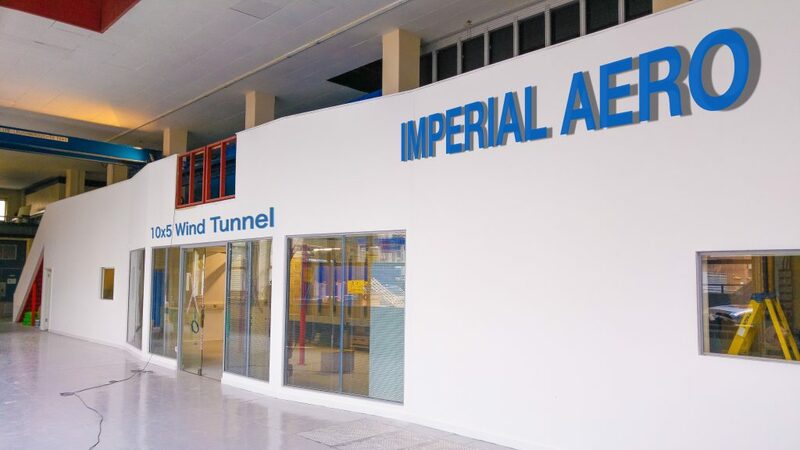 The largest low-speed wind tunnel at Imperial and the flagship NWTF facility, this tunnel is a highly reconfigurable temperature controlled facility with two test sections offering a wide range of features covering just about any study involving airflow. 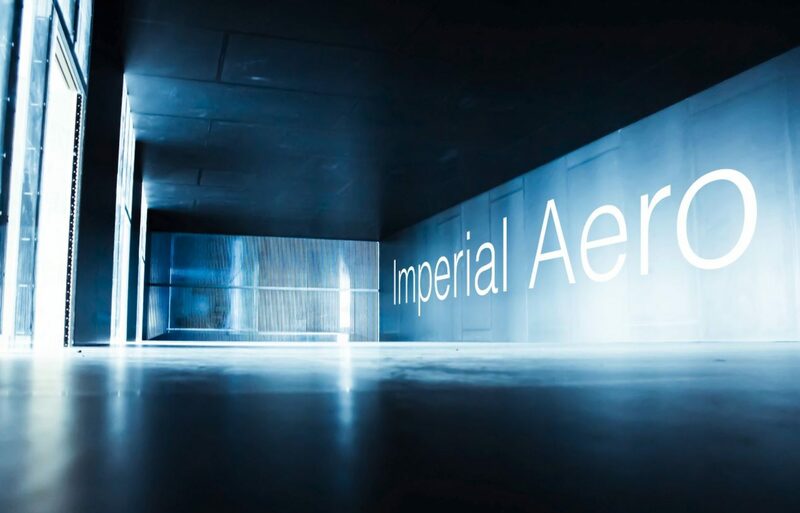 It provides an excellent facility for aerodynamic development and safety evaluation studies of road and race cars, aircraft, buildings and structures. The lower test section is a full 20m long (one of the longest test sections in Europe) and has a 3m x 1.5m cross sectional area. It is equipped with a turntable, rolling road, traverse and full boundary layer control. The upper test section is in effect a large wind testing arena 18m in length and a massive 5.7m x 2.8m cross sectional area. Both test sections are outfitted with an intellegent fully computerised control system and dedicated tunnel local area network for the distribution of data. Brand new National Instruments hardware and state-of-the-art LabVIEW based data-processing software enable the user to make maximum use of the facility. 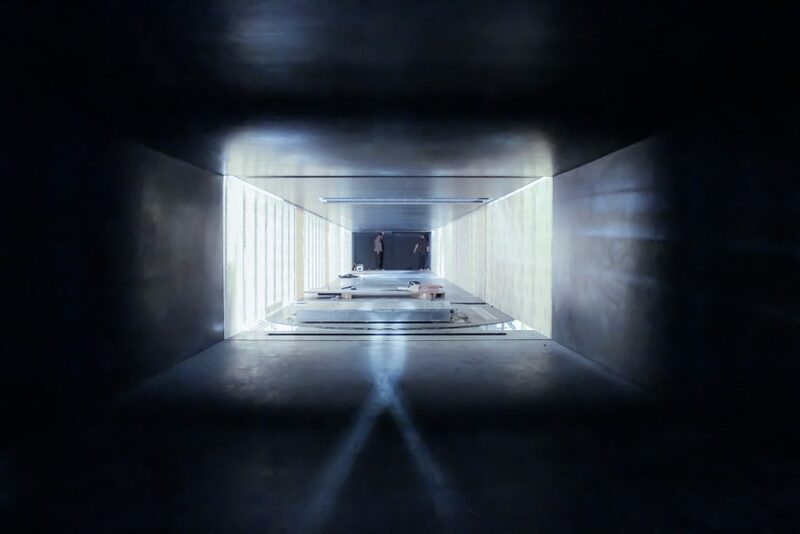 The lower section continues the tradition of the previous tunnel with very high quality flow and the facility is complemented by a comprehensive range of instrumentation which enable measurements of force, pressure and flow velocity to be made accurately and efficiently. 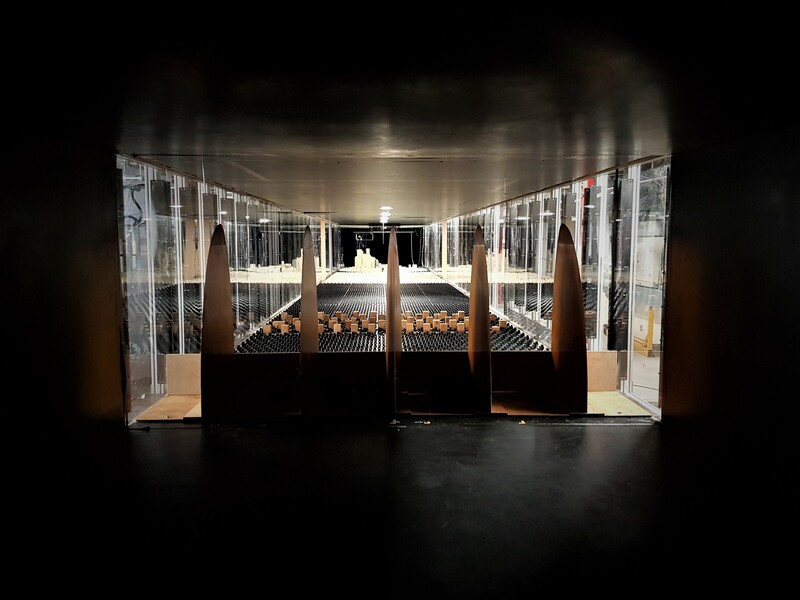 The 10×5 Tunnel is well equipped for evaluations of structural wind loading on individual buildings, a number of buildings in close proximity or other cityscape scenario. In addition to force measurements, pressure tappings and a range of probe instruments are available to investigate static or dynamic wind phenomena which may include studies of local wind microclimates and pedestrian comfort levels. 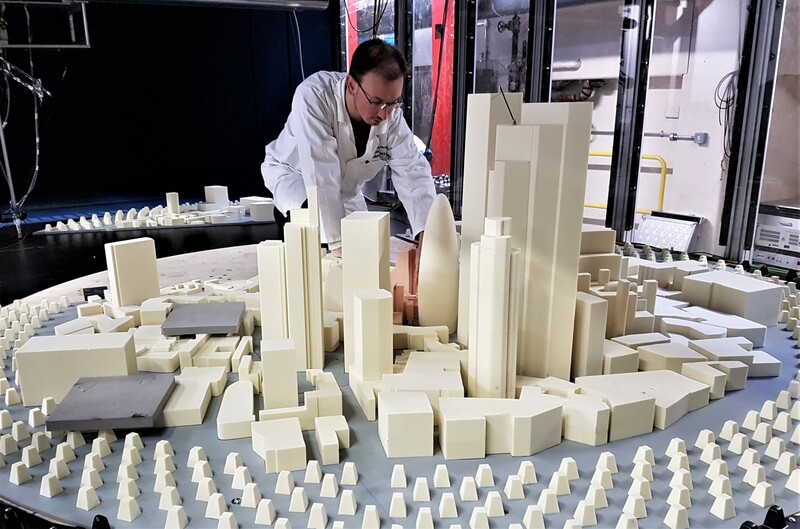 With a large 3m diameter automated turntable, building or cityscape models of 1/200 to 1/500 can be mounted allowing for accurate near field approach conditions and rotated at fine angles to simulate the flow from any azimuth. An off-axis turntable drive system allows for centrally mounted force balances and ease of cable routing. 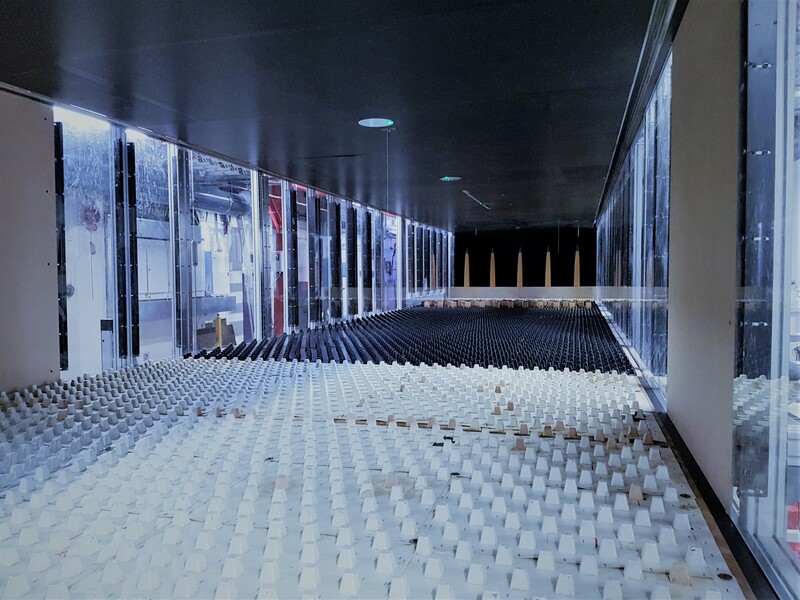 The long 20m test section can accept roughness elements that accurately recreate the atmospheric boundary layer that would be expected as the wind reaches the target model or models on the turntable. Flow characteristics of increasing speed with height and decreasing turbulence intensity with height are therefore produced which match the general landscape under investigation, be it urban or countryside thus contributing to the accuracy of the experiments and resulting data. 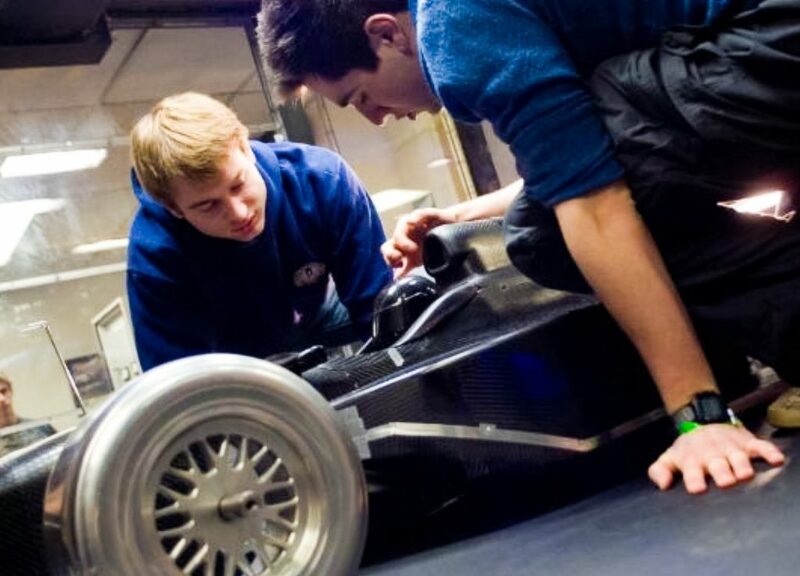 As well as offering an all round aerodynamic testing solution, the lower test section is highly optimized for race car testing. Capable of speeds of up to 40m/s, it has an automated support strut and integral 6-component force balance. This greatly simplifies the testing of road vehicles. 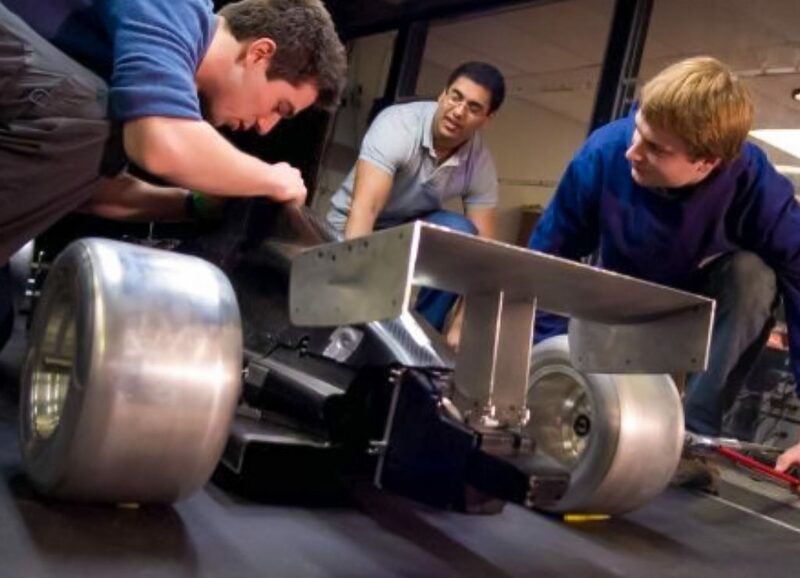 The rolling road can be yawed to simulate the effects of crosswind and the tunnel uses a novel high-precision wheel drag cell system supplied by Flow Dynamics.